Instagram is way more than just pretty pictures. You can drive leads and traffic with it, too. See how to do that and more in this article. One billion users. The highest engagement rate of any social media platform. And game-changing new features almost every month. Instagram is the hot social media platform right now, and it has been for awhile. 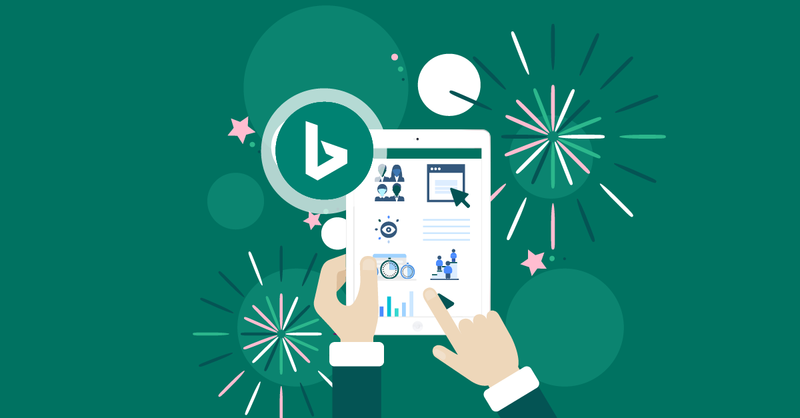 Many marketers have made a commitment to focus on it this year, both in B2B and B2C. 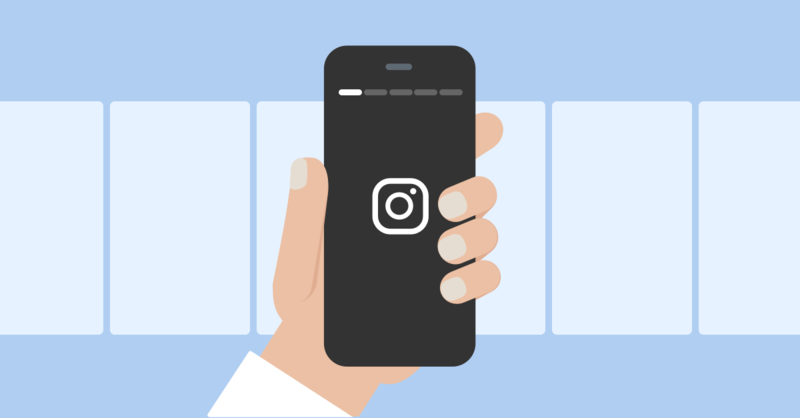 In fact, 66% of marketers intend to expand their Instagram work this year – more than any other social media platform. Here’s the best thing, though: It’s not “too late” to get benefits from Instagram. Especially if you’re in B2B. 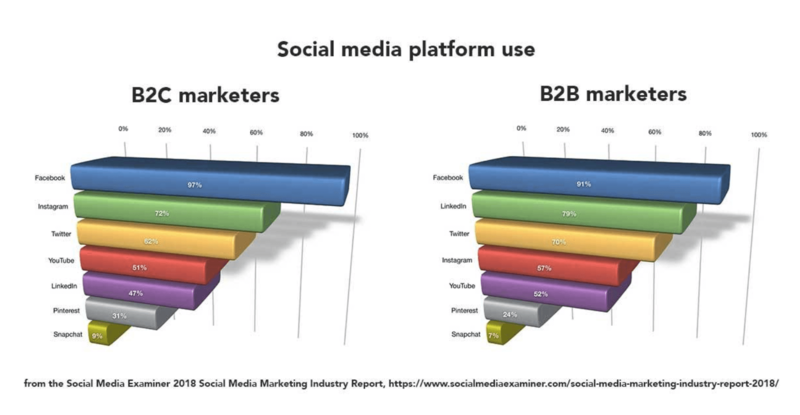 Only 57% of B2B marketers are on Instagram yet. 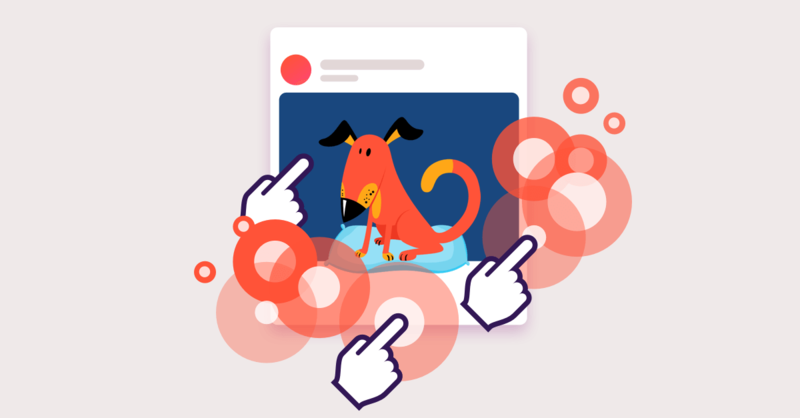 Whether you’ve got an established presence on the platform or you’re just starting out, you might want some ideas for how to do Instagram marketing even better. We’ve got you covered. 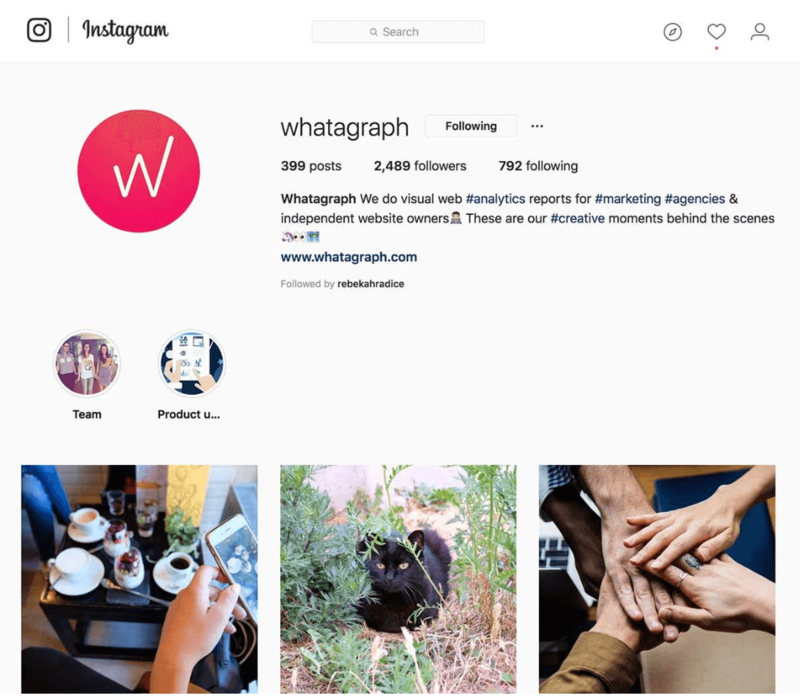 These ten tactics will generate more engagement and more business for your Instagram account. 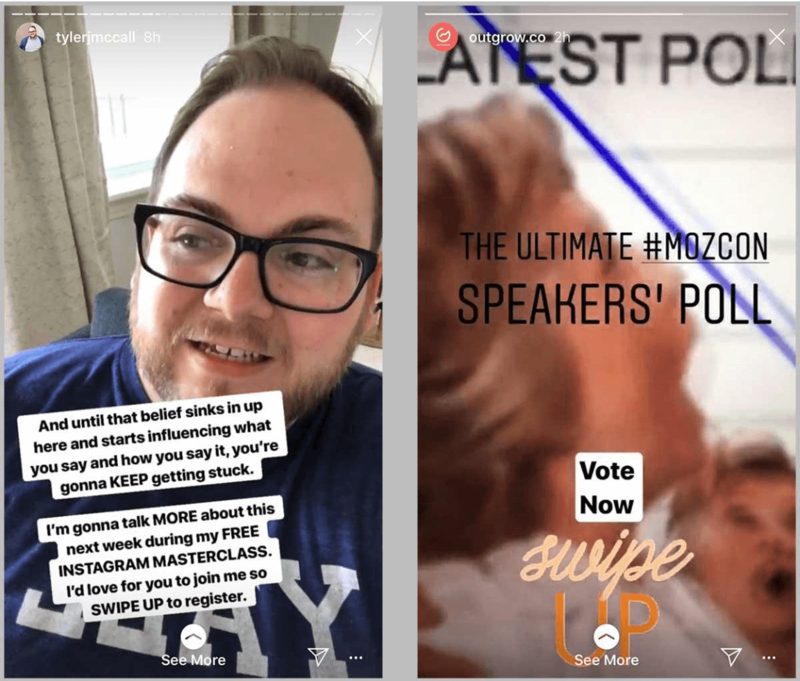 This new feature lets Instagrammers post videos of up to one hour, but many accounts are still limited to “just” ten minutes per video. 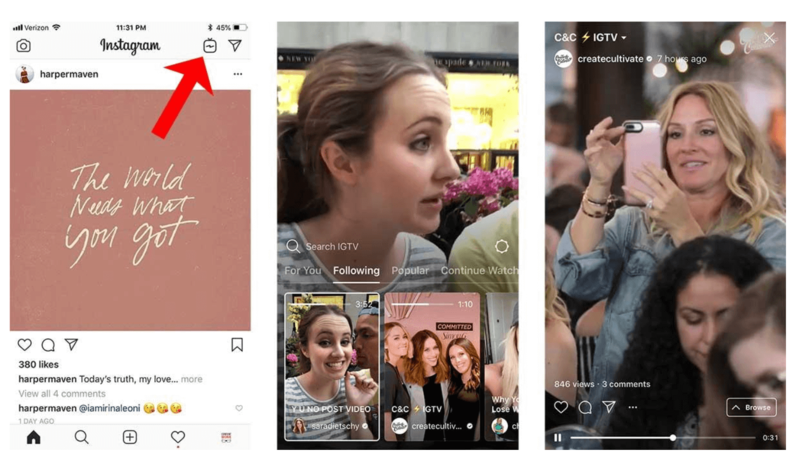 To set up your channel, download the IGTV app and connect your Instagram account from within it. Then tap on your profile photo to create a channel. 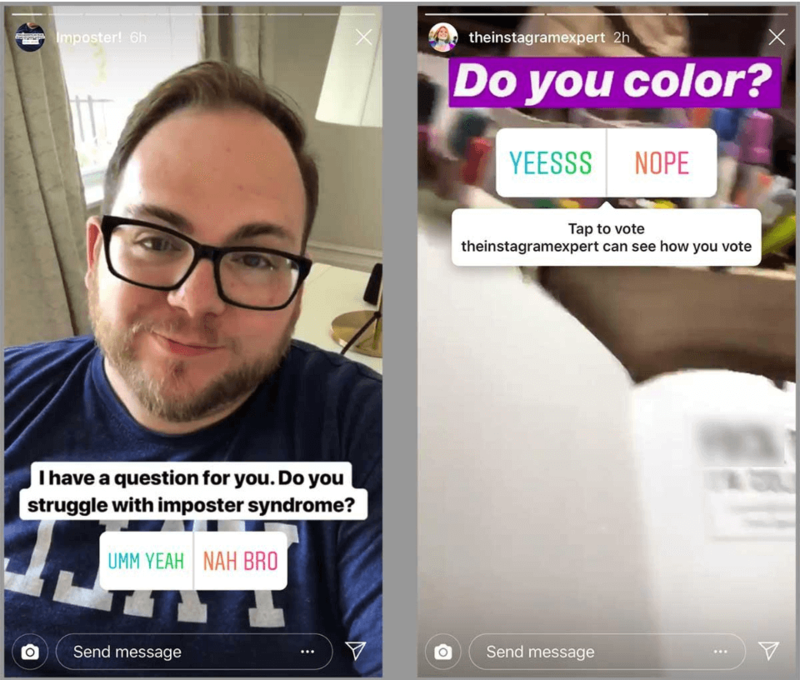 As of right now, you can’t actually record video in the IGTV app – you’ll need to upload pre-recorded videos via the app. 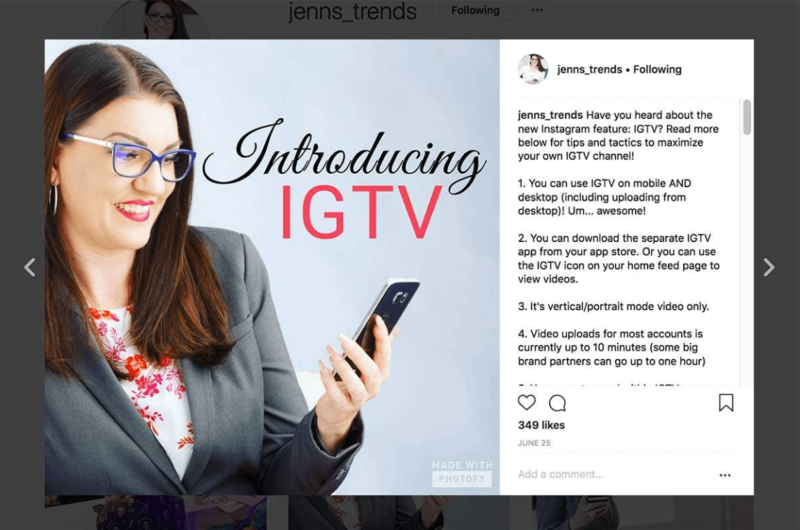 There are a dozen ways you could use IGTV. 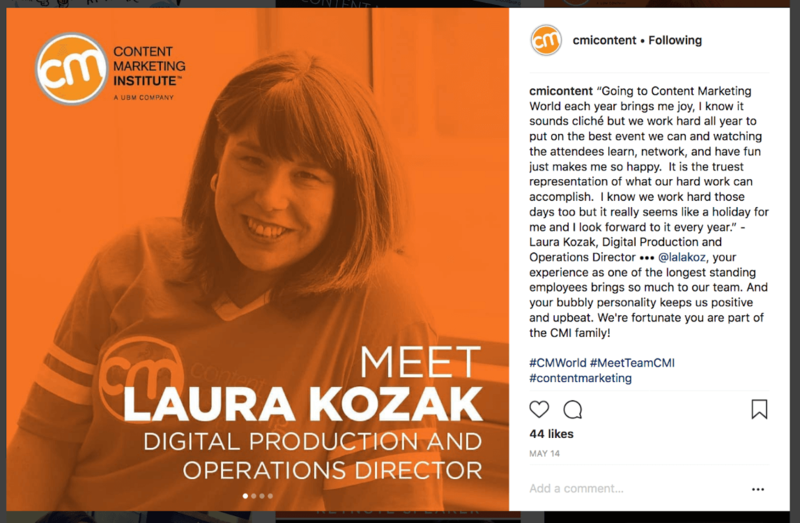 For job openings, presentations, mission statements, product announcements, conferences, as a vlog… it’ll be interesting to see what marketers do with this new feature in the coming months. 2. 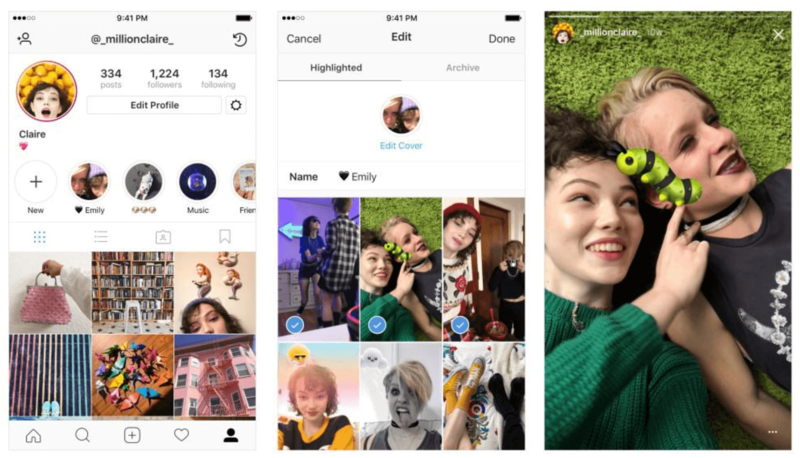 Dive into Instagram Stories. Haven’t created a story yet? It’s time. And if you have created a story, have you added it to your Stories Highlights? Highlights are a way to get your Stories to last forever – not just 24 hours after you publish them. Highlights are the round buttons that appear near the bottom of your profile. They launched in December of last year, and have become a favorite tool of the Instagram glitterati. And of businesses, too. To create a Highlight, you’ll need to have created a Story. But once you’ve got that covered, you can create a Highlight by tapping the “New” plus sign. Then choose the cover for your Highlight, and the stories in that Highlight. Here’s the interesting thing about Highlights: They can be used for lead generation (if you have a verified account). Both of these Story polls let people direct message the brand for more information or to comment. So if you’ve been holding back on Stories because you didn’t want to bother making something that would only last 24 hours – that excuse is gone. With Highlights, it’s worth your time to create a couple of really high-quality Stories. 3. Hire an illustrator (or embrace your inner doodler). As you know, Instagram is a visual platform. That doesn’t have to mean it’s a photography platform. Doodles are actually a big business trend right now. Especially among creatives. 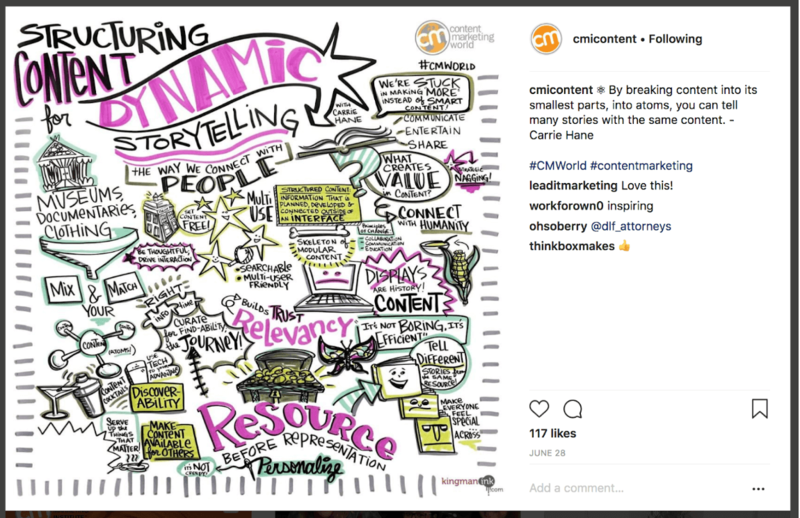 There are visual communicators all over, translating meetings and presentations into a graphic form. Of course, not everyone in your company is going to want to take this on. But just like you have a couple of team members who contribute to the blog, perhaps there are a couple of company doodlers (or even just one doodler) who could start doing graphic representations of company ideas, industry ideas, or just principles that your audience might be interested in. You don’t even have to be the doodler. There are hundreds of illustrators ready for hire on platforms like Fiverr. 4. Do employee profiles and takeovers. Even better, add several images of each person. At their desk, in the hallway, at a meeting. Perhaps presenting, too. Take it a step further by doing a short video or two. These do not have to be long – even 15 seconds is fine. But this is an ideal way to humanize your company, and to give prospects a clear idea of the type of people they’ll be working with. Remember: People do business with people, not brands. 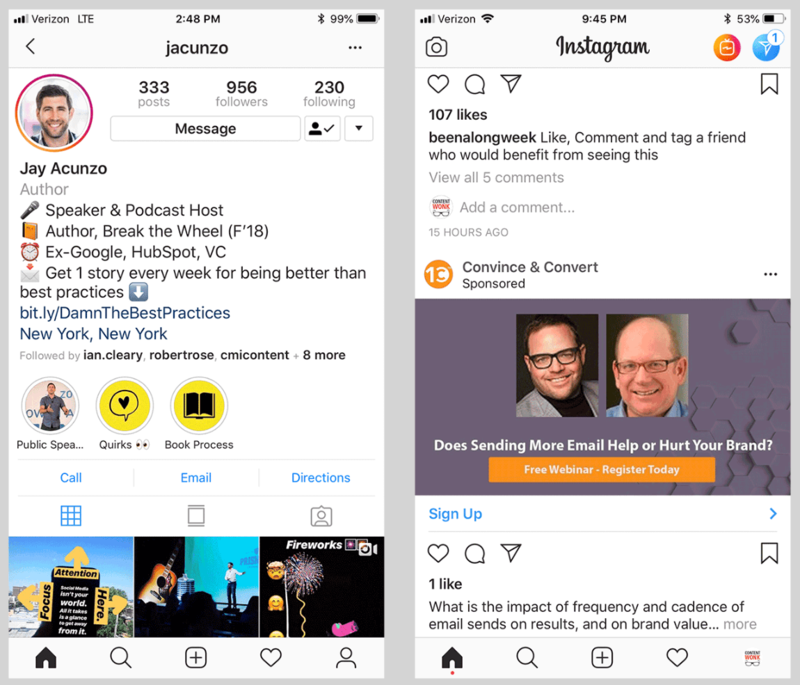 So give your employees (the company stars and the people in the trenches) a presence on your company’s Instagram feed. 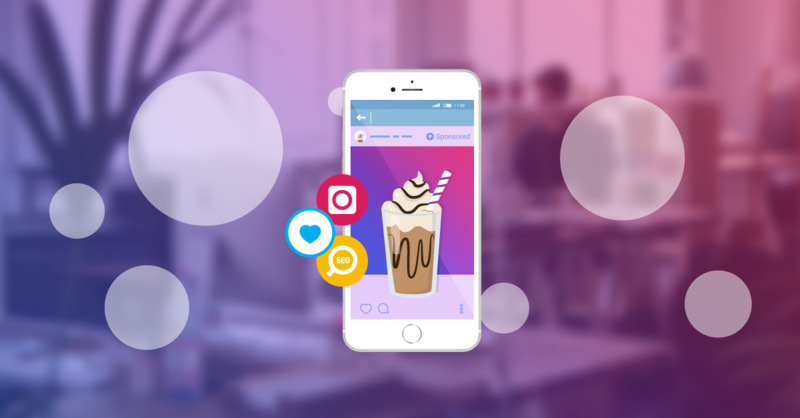 They are part of your company, after all – shouldn’t they be as much a part of your Instagram account? Want to kick this principle up a notch? Then let your employees take over your Instagram account for a day. Or maybe more than one day. 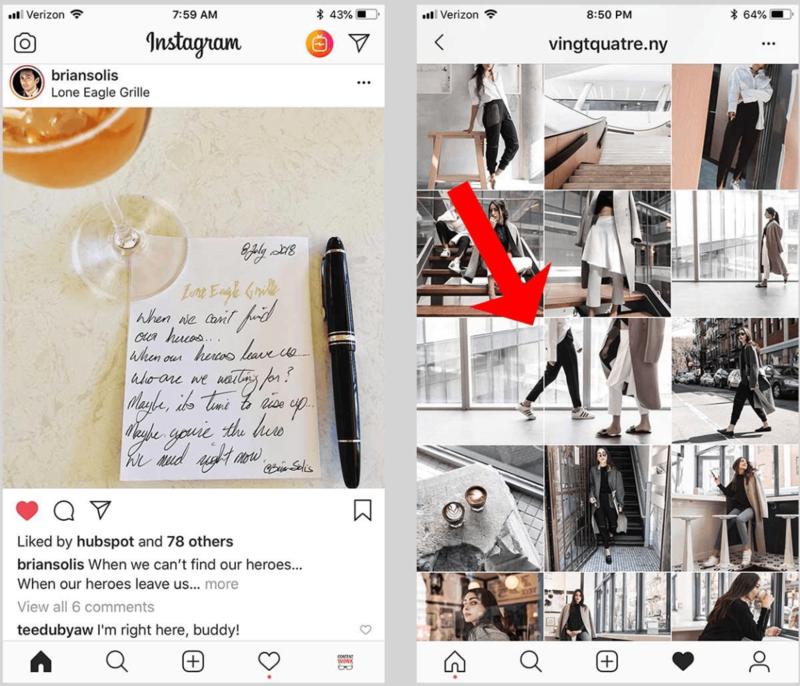 Because most Instagram accounts only post about once a day, it might make sense to give an employee a full week, or perhaps a business week of Monday to Friday. This could be a great way for social media managers to make leaving for vacation easier. It might also be a great way for them to take a break from creating content now and again. Sometimes breaks help us stay fresh ourselves. Takeovers could also be a way to boost employee morale, or even a way to reward an employee for exceptional work. Even after the takeover week, the employee will probably be more likely to share company content and be active for the company on social media. 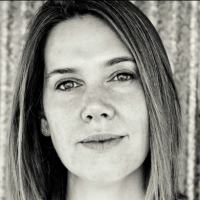 Voila: Your employee advocacy program just got a boost. Hashtags are power tools on Instagram. Posts with the highest engagement tend to have at least 11 of them. 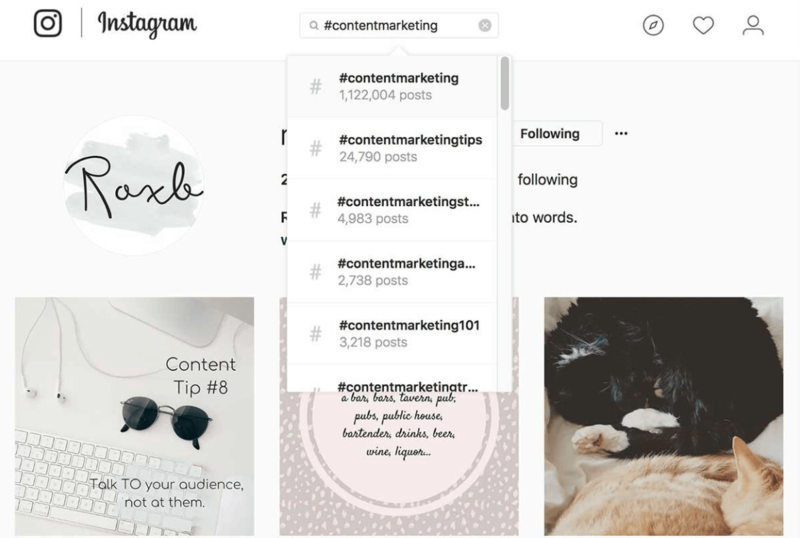 And while you can use up to 30 hashtags per post, that can get time-consuming. So here’s how to optimize your hashtags: Think in tiers. Pick 3-4 of hashtags with major exposure (like more than 100,000 posts), 3-4 hashtags with 10,000-100,000 posts, and 3-4 hashtags with just a few thousand posts. Avoid using hashtags that are too generic. Any tag with more than 500,000 posts may not help you. Remember: As businesses, we probably want targeted viewers, not the entire world. Pay particular attention to your Instagram analytics here. Are there particular hashtags that seem to get more engagement for your posts? If there are, don’t just tack on those hashtags for everything you post going forward. Try also creating posts specifically for that topic. You may have found a little niche of content that your brand could easily build an audience from. Choose 3-4 types of post or post topics that you publish the most. Research the ideal hashtags for those types of posts. Save those different hashtag sets in a text file. When you’re creating new posts, just cut and paste from whichever set of hashtags fit best. If you’ve got time, definitely sprinkle in a new hashtag or two for each specific post. Voila: Maximum reach, minimum time. Instagram is an image platform, right? Yes, but text can still have a powerful effect. Witness all those quotes streaming by. Also witness the power of clever captions. So how can you write better captions? If you’re a copywriter, think like you’re writing a print ad. For the rest of us… look at what you’re about to post. What would you say to a friend if you showed it to them? Don’t think about this too long – your first gut response is usually the best caption. In short – write like you’d talk to a friend. The best captions on Instagram have a very personal feel… just like the account is talking directly to you. 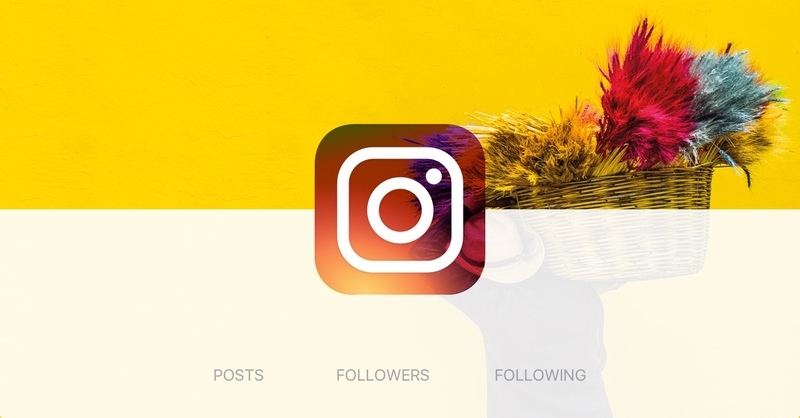 Got more than one Instagram account to manage for your company? You don’t have to keep logging in and out. To add an account, just go to your profile and click the gear icon. Scroll down to the bottom of the long list of options until you see “Add Account”. Click that, enter your username and password, and you’re done. You can now toggle between accounts. 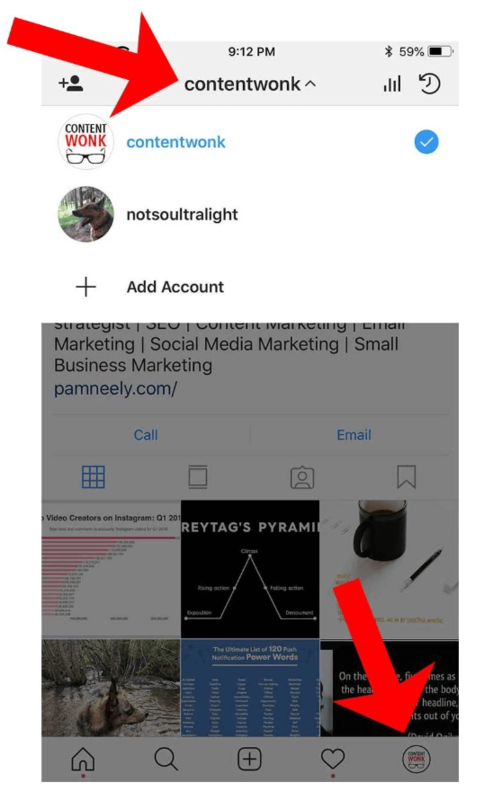 The Instagram interface will show you which account you’re in by displaying the logo of your account in the bottom right-hand corner. To switch between accounts, just press that lower-right hand logo image, then click your account name at the top of the screen. As you click the account name, the interface with drop a menu down that lets you choose which account you want to be in. Just be careful about which account you’re in – especially if you are toggling between business and personal accounts. 8. Add calls to action. Sure, it’s social media. You’re supposed to post cool, interesting things. And you should. But a call to action sprinkled in here and there can be really good for business. These are both examples of a larger principle: Whenever possible, drive people to your website. Get people’s contact information and get other information about them, too (like what they’re interested in). We all learned this the hard way on Facebook. For a while, the engagement was amazing on Facebook. Very few people focused on building email lists or having a relationship with their Facebook audiences off Facebook. Then the algorithm change came… and hundreds of thousands of companies basically lost access to their audiences. I’m not saying Instagram will make that play in the future, but the principle still holds. As with all social media platforms, try your best to build a relationship off the platform. Social media audiences are not actually under our control; they are under the control of the platform. 9. Start commenting on other accounts’ posts. You got to give it to get it, right? So built a new habit: Once a day, sit down and comment on three posts from three different Instagram accounts that you admire or might someday want to partner with. Definitely leave a better comment than “great post”, and try very, very hard not to promote your company or your content. Just be human. Be friendly. Be a fan. Say what you like about the post (even if it’s just the cute hat on the dog), or how it reminds you of something, or how “You can never have enough doughnuts” (is it me, or does Instagram seem to have a thing about doughnuts?). Just be clever and friendly – and brief. With a little practice, this can become an easy task you can knock out while you wait online, wait for a meeting to start (or hey, let’s be honest, wait for a meeting to get useful). Over time, you are building connections. You are… being social. Many brands will comment on the accounts of their followers. If you’re a well-known brand, giving some small account a shout-out or a comment can leave a permanent impression. Do it right, and you’ll have created a brand advocate. You might also want to go one step further and follow every account you comment on. Your call. Also follow accounts in other industries. Artists, travelers and photographers have some of the most interesting and inspiring Instagram accounts around. Watch what they do with their accounts to get ideas for what you might want to do with yours. Just spending time on the platform will teach you a lot. Keep your eye out for interesting things, like the examples below. Brian Solis made the usual quote-style post more interesting by writing it out on paper and taking a photograph of the handwritten note. Vingt Quatre created an interesting mosaic effect in their posts by using sequential photos that fit together. 10. Spice up your photography skills. Or find someone with skills. If you’re an ad agency, it might worthwhile to assign one team member to spend an hour or two a week studying photography. If there’s a class they could take in your city, great. Or there are plenty of online courses in photography. Creative Live also has a slew of photography courses for $50 or less. And, of course, there’s always Udemy. Instagram is way more than just pretty pictures. You could be doing far more with this platform than adding hashtags and looking for quotes. Quite a few people and businesses are driving leads from this platform. They’re generating business, whether it’s by building their email list, generating leads, selling products or courses. A photo heavy social media platform that can help your business grow? Yes, please!